He’ll take on tracks by the likes of Bob Dylan, Joni Mitchell and Roy Orbison Morrissey has announced a new covers album, titled ‘California Son’. The former Smiths frontman made the announcement on his official website late yesterday (December 5), revealing that he’s recorded versions of songs by the likes of Bob Dylan, Joni Mitchell and Roy Orbison for the new album. Tickets go on sale today for Burt Bacharach’s March 15, 2019, performance at Benaroya Hall in Seattle. As always, check the On Tour page for the latest news I have on upcoming performances. 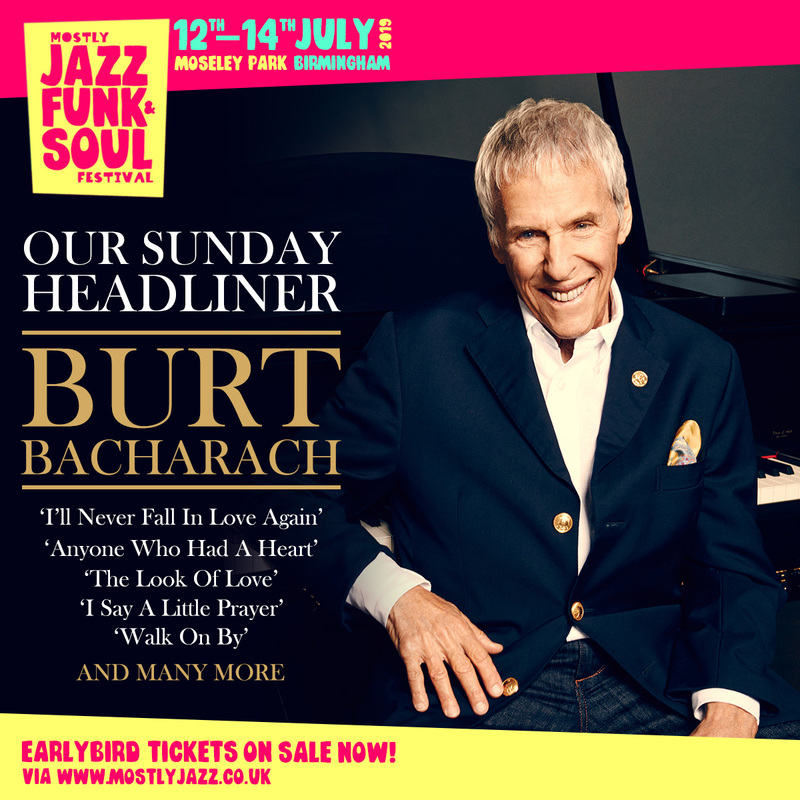 Just announced…this summer, Burt Bacharach and his band will headline the final day of the 2019 Mostly Jazz, Funk & Soul Festival in Birmingham, England. Early bird tickets for the fest, which takes place Friday, July 12, to Sunday, July 14, in Birmingham’s Moseley Park, are now on sale. According to the festival website, this is the last chance to purchase tickets at a discount. Once early bird tickets are sold out, prices will increase. For more info and to purchase tickets online, visit www.mostlyjazz.co.uk. Burt and his band will be performing at the Agua Caliente Casino Resort Spa in Rancho Mirage, California, on Jan. 12, 2019. Burt Bacharach is coming to The Show at Agua Caliente Casino Resort Spa! Burt Bacharach and his band will perform at the Pala Casino Spa & Resort on Saturday, Feb. 23. For the latest news on Burt’s live appearances, visit the On Tour page. The man who wrote that song “I Say a Little Prayer” and hundreds more – songs that are part of the soundtrack of your life and the whole force of his own – that man, Burt Bacharach, is now asking for a little prayer and a little support from his fellow Americans for a cause that has moved him to tears, and to music. Burt Bacharach and Rudy Pérez have co-written a new song dedicated to survivors of school gun violence. “Live to See Another Day” will be available on digital platforms, including Spotify and iTunes, starting on Sept. 21. Anyone who would like to donate to help eliminate violence in our schools through the Sandy Hook Promise Foundation can visit the Live To See Another Day donation page or www.sandyhookpromise.org. Thanks. Recorded in Hollywood, New York City and Vancouver, British Columbia, it combines classic Costello songcraft with vintage Attractions/Imposters musicality and sophisticated orchestrations. There’s a jazzy feel in parts plus co-writes with Burt Bacharach (Don’t Look Now and Photographs Can Lie) and Carole King (Burnt Sugar Is So Bitter).